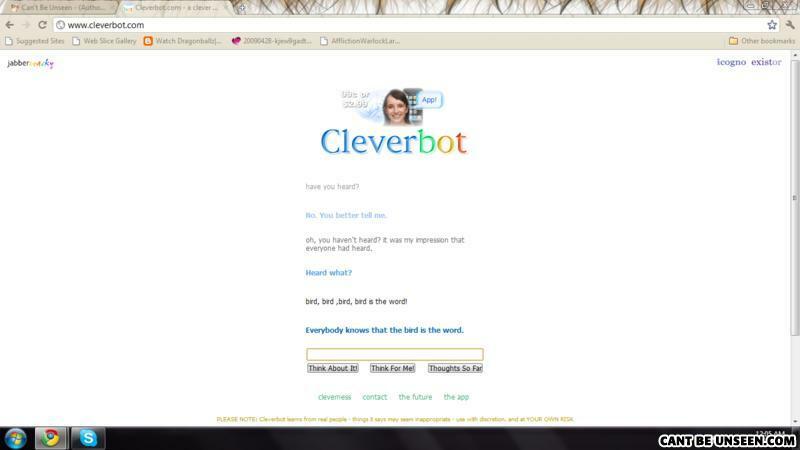 Can you notice THIS website is right next to the Cleverbot tab? Of course Cleverbot knows that bird, bird, bird is the word PS Captcha is 'klatu berada nikto', WTF? What did the big chimney say to the smaller chimney?